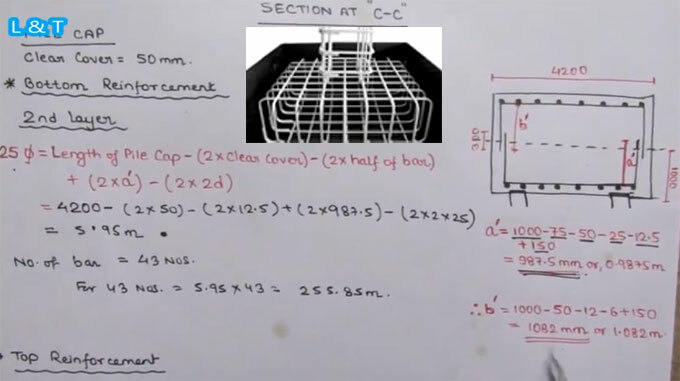 In this construction video you will learn how to produce a bar bending schedule of pile cap. Pile Cap stands for a reinforced concrete slab or block that interlinks a group of piles and functions as an agent to deliver the load from wall or column to the Piles. Generally, the Pile cap should be inflexible in order to disperse the forces uniformly on the piles of a group. Usually, it is designed similar to a footing on soil but with the variance that in place of undeviating reaction from the soil, the reactions in this case are focused on either point loads or distributed. To learn the detailed process, go through the following video.